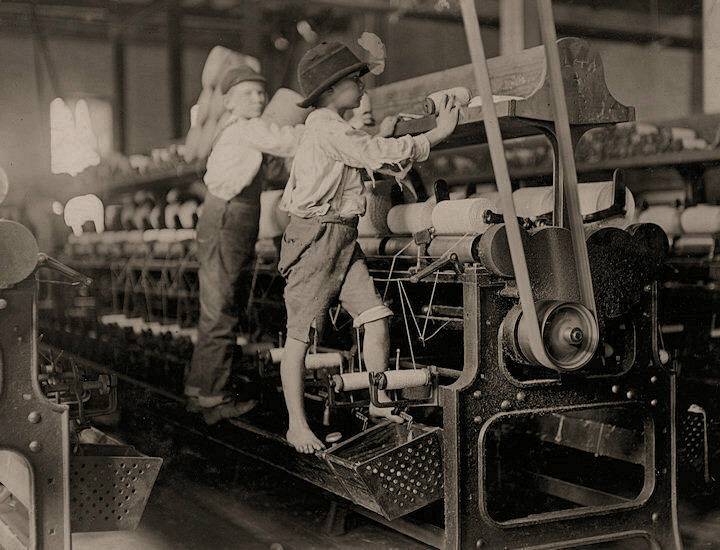 The Mill: Some boys and girls were so small they had to climb up on to the spinning frame to mend broken threads and to put back the empty bobbins. Bibb Mill No. 1. Macon, Georgia.